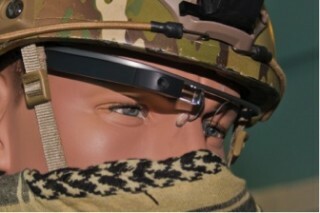 The U.S. Air Force’s “BATMAN” research team at Wright Patterson Air Force Base in Ohio is beta-testing Google Glass for possible use on the battlefield with an advanced technology demonstration and research program commissioned by the Air Force Special Operations Command to develop, build and investigate advanced wearable technologies. 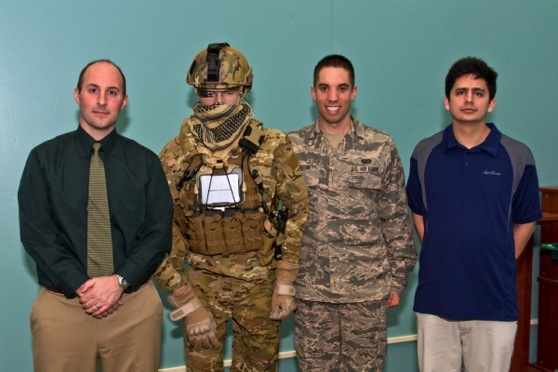 The BATMAN evaluation group is part of the U.S. Air Force’s 711th Human Performance Wing and is one of the military’s most distinguished research and development groups. It comprises both military and civilian behavioral and technology scientists. The BATMAN acronym stands for Battlefield Air Targeting Man-Aided (K)nowledge. A combination between a hardware and software product, Google Glass is based on Google’s own Android operating system and can leverage a great majority of modern smartphone capabilities while remaining light and allowing for largely hands-free operation. While aircraft pilots have been using variations of heads-up displays for years, with the latest iteration being incorporated in the new helmets worn by F-35 Lightning II pilots, the engineers said the tactical ground missions put high demands on the operators over extended periods of time and varying environments. One possible use being investigated in preliminary studies, Calvo said, is a medical app that would allow first responders in the pararescue community to monitor vitals of multiple casualties, without taking their hands off patients or weapons. Possible other Air Force scenarios under investigation include forward air controllers working on the ground helping vector fighter and bomber aircraft to their targets, search and rescue missions, and combat controllers communicating with aircraft flying overhead and ground troops in combat, supply, and rescue operations. With the aim to reduce the overall size, weight and power required of the dismounted operator, engineers attempt to move away from clunky, ruggedized laptops with short battery life. Google Glass is intended to work within an ensemble in combination with cellphones or tablet devices that will hold the data and supplement the heads-up display. Google Glass is only one of many research endeavors BATMA(N) is conducting within the 711th HPW, Burnett said. The team is also investigating similar technologies, such as BAE Systems’ Q-Warrior display technology, for Air Force viability. To assess how the interface affects users’ stimulation, the group uses a variety of test approaches. To better understand the needs of the user, the engineers bring their developments to regular test and feedback sessions with Airmen operators. The engineers use their feedback to improve the applications with lessons learned. While many research projects at the Air Force Research Laboratory have a long-term focus, the BATMA(N) group’s efforts are notably short-term — with some technologies adopted within as little as two months, Burnett said. Despite the challenges of current budgetary constraints, Burnett said it is important to keep future technology needs in sight. No matter whether the service will adopt Google Glass or a similar product, the engineers say they never lose focus of their mission to equip Airmen on the front lines. Source : US Air Force et al.